MainTitles was present at the past World Soundtrack Awards and found out Andrew was hiding in Ghent too. Nominated for a Discovery of the Year award, for City of Ember and Journey to the Center of the Earth, Andrew agreed on an interview. We took him downstairs in the basement of the Marriot Hotel to talk about his past couple of years, his big adventurous scores and the evil click-tracks. MT: First of all, have you ever been to Gent? No, this is my very first time. I heard great things about it from different people, Mychael Danna andmy agent (Robert Messinger). They all said how beautiful it was, and I had no idea. I’m really glad I came. MT: That’s right, you worked with Mychael Danna! I did yeah, for many years. I started out as an assistant, and I did some arranging for him, and we co-composed some smaller things that he helped me out with to get going, and I learned so much from him. He’s very talented. MT: First of all, lately it were the scores of Journey to the Center of the Earth and City of Ember that got you really noticed, but you were already a couple of years busy with composing. Can you elaborate on that? Gosh, films are funny. You never know where your next project is going to come from, but I’ve done a bunch of independent films that have been at various film festivals (Toronto or Sundance). Skinwalkers actually came about because the director saw a movie I did called; Saint Ralph. I don’t know if you ever saw it but it’s a good little film about a twelve year old boy who gets it in his head that he can run the Boston marathon. So he dreams to run this marathon and he’s actually really good (it took place in the 50’s). The director of Skinwalkers saw that film on an airplane and he liked the music. It’s nothing like a horror movie score, so I was like: Are you sure? Then Skinwalkers came along, Newline Pictures heard that and that lead to Journey, which lead to Fox Walden hearing Journey which brought me to City of Ember. So, it actually goes from one thing to another. MT: Skinwalkers is your very first CD release. Were you proud of that? Oh yeah; hugely. Mikael (Carlsson) did such a great job with it, and it sold out very quickly and it’s been very well received. So yeah, for a film composer, once you hear the music recorded in the studio, you go to the version in the film and it’s got dialogue, rain or gunshots, .... So when you hear it in its pure form on CD, it’s a pretty major honour. MT: The combination of your more orchestral setting with the more percussive and rock elements, was that a choice of yourself or of the director? The director really liked big drums. He wanted an orchestral score with big drumming. When I worked with Mychael I did some research of African drumming, so I always had that in my head. I remembered listening to some African drumming and I almost had my Western music ears on, so I was trying to figure out; "What's the time signature? ", "Where’s the downbeat" and I couldn’t figure it out. I liked that uneasiness of not being able to navigate musically where you were. On Skinwalkers, instead of writing an orchestral score and adding these world elements, I actually started by recording these drumming patterns, without click-track, without anything to worry about bpm (beats per minute). I just recorded them, started editing and then wrote orchestral music to that. The orchestra didn't listen to click, they just heard the drumming. That was good, because then there's an organicness to it, something you don't have always with a click-track. It's almost like the old days, when they used the screeners. The music that isn't recorded to click, has a flow, a very human flow to it. For Skinwalkers, I tried to bring up that same effect. MT: You often hear criticism on the click track. It's often not welcomed. What's your experience? It makes your job so much easier. In the past, they might spend three or four hours to record just two or three minutes of music. Today, with not always having much money and orchestras being so expensive, we can record ten or fifteen minutes in just three hours. You don't have the time to do a take, then decide that the timing was not right and do it again. Click-tracks help you to get that speed. Sometimes they can take out the emotion. You don't get the rubato, it isn't always natural, the players often can"t feel it as much, ... It seems to be a necessary evil, yes. 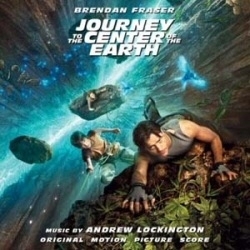 MT: Journey to the Center of the Earth and City of Ember were your two big orchestral scores, how much fun was it to create something so epic, so big, so adventurous? It was really fun because I’ve never done anything like Journey, ever! 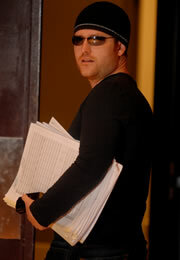 The director [Eric Brevig]] said to me: “I trust you that you can write this”. So the funny thing for me was, it felt like coming full circle, because when I was a kid I was listening to Star Wars, to Indiana Jones, all these big adventure scores. And then you go through different art films and all of a sudden, you feel yourself back there again. So the director said to me: “I want you to write an adventure theme, I want it to pay homage to those adventure themes that we grew up with”. Before Eric was a director, he was a special effects supervisor, and he worked with Spielberg, Lucas and Michael Bay. That was what film music was to him. The majority of movies Eric worked on were scored by John Williams, so he wanted a big theme. He said: “when they leave the theatre, I want them to know the theme so they can humn it in their head”. To be given licence to do that was really fun. If the director didn’t said I could do that, I might have gone in a different direction. It gave me the opportunity to be a kid again. MT: There was one theme (Building the Raft) that’s quite popular on our forum. It’s a very memorable theme as well. I think you succeeded in giving us a theme that was instantly memorable to humn. Well, that was interesting because usually I write scores in sequence, so I would start on the first cue. But in this film, I had written that theme and the producers weren’t too sure if it would work in this film. So I actually went and wrote the Building the Raft key, to show them how it would work inside the context. It was almost a montage. What’s interesting is that so many films today have so much dialogue that I think it affects how themes get written, because you don’t have these long sequences were you can write a long drawn out theme. In Journey, they arrive in Iceland and there’s 10 or 12 seconds before they start talking again, so if you have a theme that’s 20 seconds it will not get hurt much. That scene actually decided on the length of the Journey theme, and the fact that there weren’t many long sequences. However, the reason why I chose the Building the Raft cue was because IT was a long sequence, so it was the music first here. MT: You’re working on a film called “Frankie and Alice”, what can we expect of that? 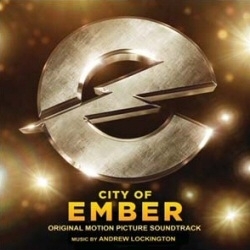 I’ve been lucky because Journey and City of Ember were two similar adventure scores, but everything else was very different from one another. Frankie and Alice is different. It’s piano, it’s pizzicato, it’s violin through a delay, so it’s very different since I had to downsize after Journey and Ember. We recorded it with 27 strings and that was it. Piano, hurdy gurdy, a very small instrumentation. But it was a fun score to do, because the movie is a really good psychological drama. As for the music, I was able to put some momentum into the music, with a pattern to it. I wasn’t trying to follow the film, the producers even said I could drive it a little bit. MT: Is that what you like the most, changing from something big to something small. Being diverse? Or is there a genre you really want to expand upon? When I was a kid, my mother would move the piano around (because she wanted to redecorate). So the piano was always at a different place. Every time she moved the piano (I was writing as a kid) I was amazed that I had all these new ideas. Film music is like that too, you’re looking at a different window for a couple of months, and you have totally different ideas. So yes, I love getting different films. If I only did the same it would get tiring. The really fun part of film composing is when you try to do something you never done before. And that’s when you come up with ideas you’re proud off. It’s that discovery of trying new things out. I hope I keep getting unique challenges to keep trying different things. MT: You’re nominated for a Discovery of the Year Award at the World Soundtrack Awards this evening. Have you looked up the other nominees? I have and they really talented. I know it sounds cliché but I feel really honoured to be part of the group. I’m just excited to be here. MT: Well thanks for the interview and we hope to see you here next time again. Thanks guys! E-mail me okay?